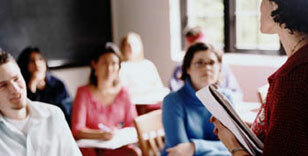 Detailed information and reviews of US education providers offering continuing education classes and training courses. Find a list of local colleges & universities and private schools. Post your requirements and receive no obligation price estimates and quotes. School Supplies - I need a 1 usb flash drive, 1 trapper/ binder, 3 packs of mechanical pencils, 1 pack of blue and black pens, 5 packs indesk cards, and a pencil box. Continuing my education - Trying to get my Ged online if possible . 12 year old wanting to learn French and/or Chinese language. - We have a 12 yr old that would like to start taking French and/or Chinese language classes. What is available in this area and what are the costs?